The United States is reported to be expanding a secret drone program in east Africa and the Arabian peninsula in order to gather intelligence and strike al-Qaida-linked militants in Somalia and Yemen. 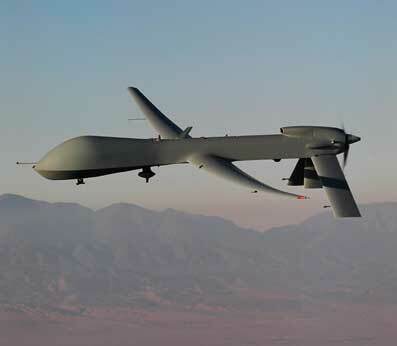 Citing U.S. defense officials, The Washington Post reported that the U.S. is building a new military installation to host the unmanned aircraft in Ethiopia, where drones can more easily attack members of the militant group al-Shabab that is fighting for control of neighboring Somalia. The report also said the U.S. has re-opened a drone base in the Seychelles, an island nation in the Indian Ocean, where a small fleet of “hunter-killer” drones resumed operations this month after a test mission determined that aircraft based there could patrol Somalia. In addition, the report said the Central Intelligence Agency is building a secret airstrip somehwere in the Arabian subcontinent in order to carry out drone missions against al-Qaida in the Arabian Peninsula. U.S. officials say the group, based in Yemen, is al-Qaida’s most active branch, and is responsible for several attempted attacks on U.S. targets. The U.S. is reported to have already flown drones over Somalia and Yemen from installations in Djibouti. The U.S. military is also believed to have used the unmanned drone aircraft to carry out missions in Afghanistan, Pakistan, Iraq, and Libya. U.S. officials previously acknowledged the existence of the drone base in Seychelles, but said the aircraft were surveillance drones that were primarily being used to track pirates in the region. But the Wall Street Journal reports that the base will now house MQ-9 Reaper drones that can be outfitted for both reconnaissance and strike missions. Officials at the White House did not comment on the report. Earlier this month, the commander of U.S. military operations in Africa said three African-based terrorist groups were working together to threaten U.S. interests in the region. General Carter Ham said al-Shabab, Algeria-based Al-Qaida in the Islamic Maghreb, and Boko Haram in Nigeria have said they intend to share training and operations in order to target Westerners, specifically Americans.